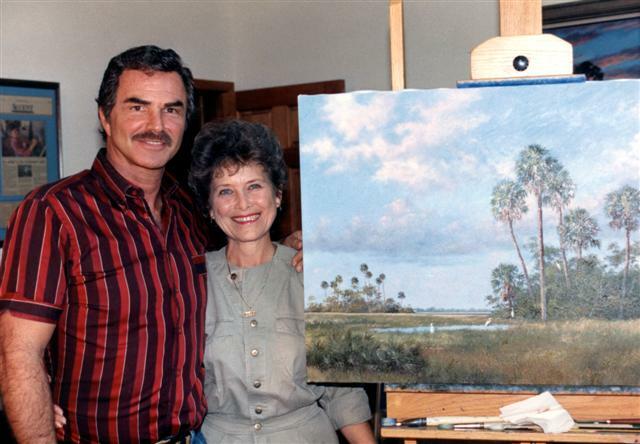 Burt Reynolds is shown here in my studio. 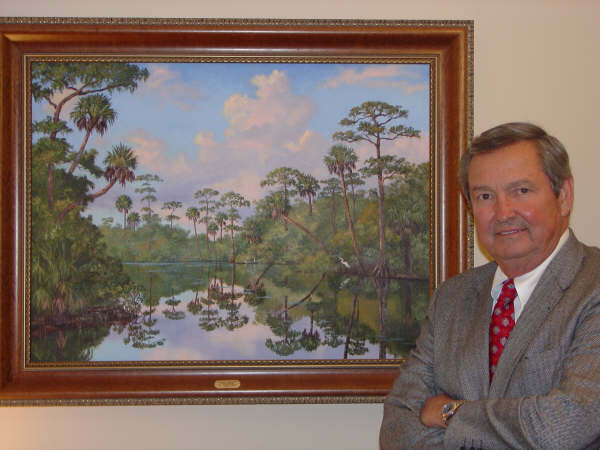 Over the years he has accumulated a collection of my paintings. 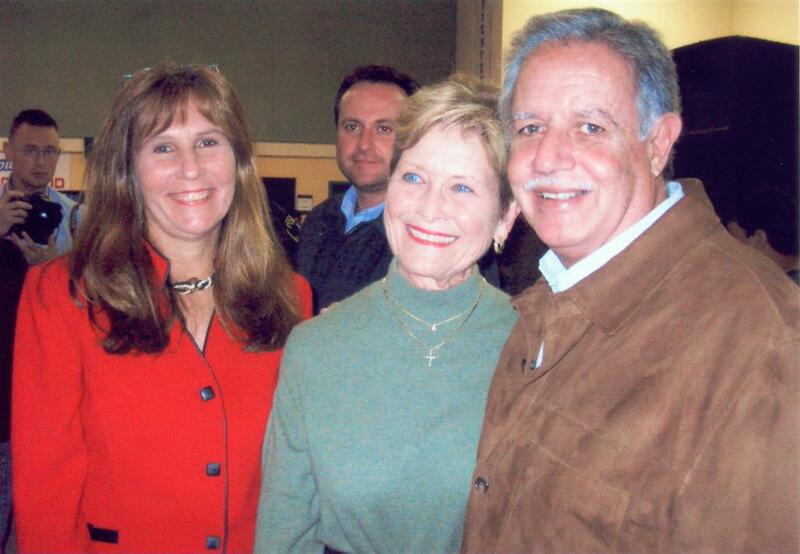 Here in Jupiter, FL he is well loved and is known for his support of the arts. 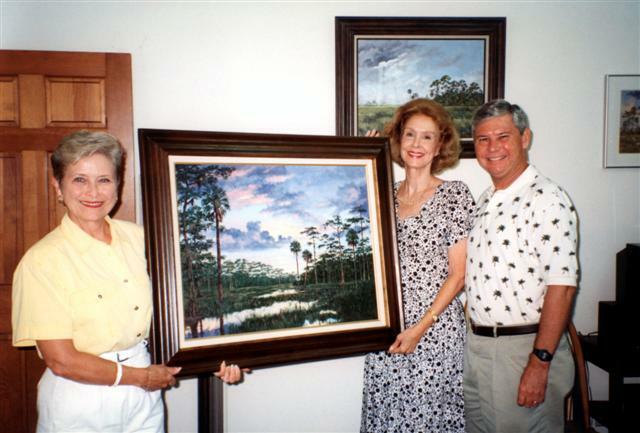 US Senator and Mrs. Bob Graham in my studio with their first purchase. U.S. 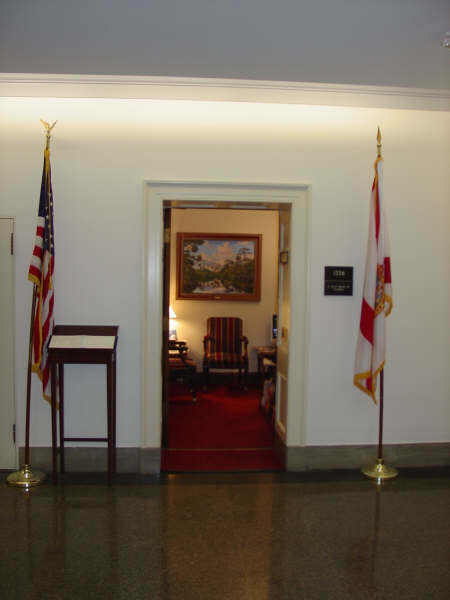 Congressman E. Clay Shaw standing by my painting in his Washington, DC office. 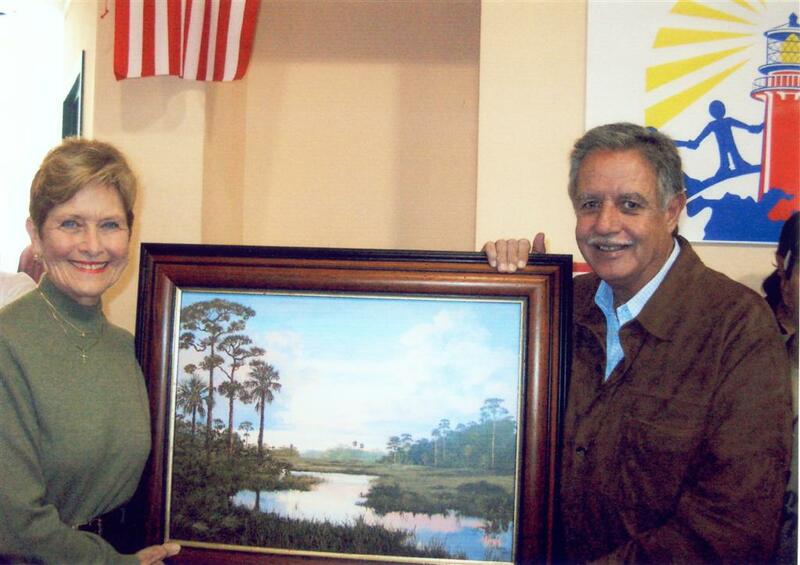 Jackie presenting President Oscar Berger of Guatemala with one of her paintings.